January 14. 2019 - Orlando (Fla.) - UPSL Florida giants America Soccer Club and Miami Sun FC went toe-to-toe at West Orange High School for the UPSL Florida Championship. Having been familiar territory, goalkeeper Miami Sun FC goalkeeper Ronald Garces blocked the pivotal shot in the game-deciding shootout to come up clutch once again for Miami Sun FC in a 1-1 (7-6) victory over America SC. An early strike gave Miami Sun FC an advantage, but America SC responded in dramatic fashion in the 86th minute leading to the shootout. 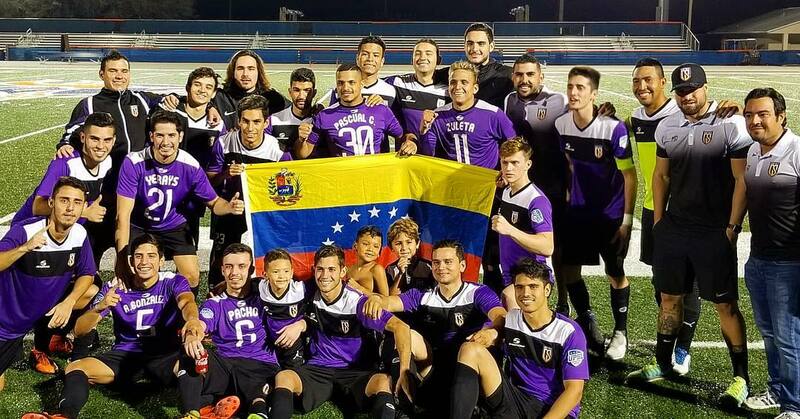 America SC had come into the game after a 2-0 victory over Sporting Orlando, and Miami Sun FC won their previous game in a penalty shootout versus Florida Soccer Soldiers in which Garces featured. Miami Sun FC advances to play Germantown City FC on Saturday, Jan. 19 at 3 p.m. ET at Orlando (Fla.)'s West Orange High School.